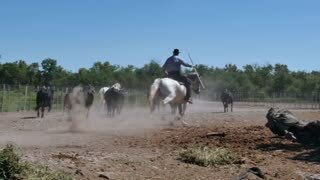 Slow motion close up detail shot of male farmer hands twisting new wire on a ranch fence in West, Texas, 29.97 fps, 4K. 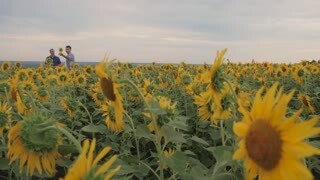 Rancher man in sunflower field. 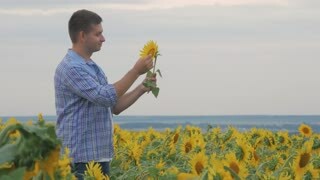 Satisfied farmer in a sunflowers field looking at sunflower seeds. 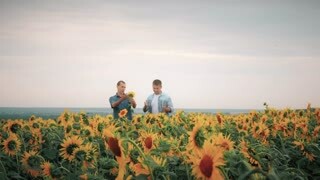 Two friend farmer rancher ,funny around situation on the sunflower field. 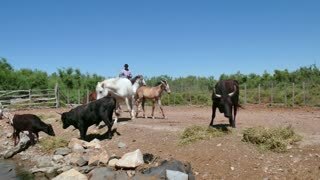 Partner farmers men analyzing sunflower field collaboration and talking about harvest.